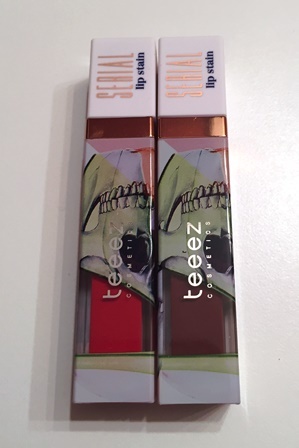 Since European makeup company Teeez launched in Canada, I’ve really wanted to try their products. The extremely fashionable company does things a little differently when it comes to their collections. Each one has a theme and from what I can tell, none of the products cross over. 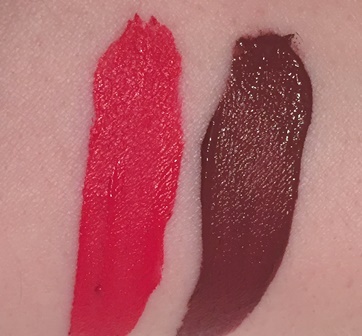 We had a chance to try out a few things from their Fashion Vendetta line; the To Die For eyeshadow quad in Cinnamon Revolution and two of the Serial lip stains, in Radical and Faux Pas. 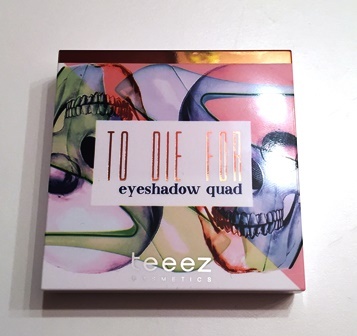 The inside of the eyeshadow quad has a lot of shiny, mirror parts, which made photographing it really difficult. But it’s set up like pretty much every other quad I’ve used. Two lighter shades on top and darker ones on the bottom. Cinnamon Revolution’s shades are pretty much exactly what you’d expect. All neutral, they range from a light pearl to a deep brown. There are five other quads to choose from in the collection and this one is probably the best one for a subtle day look. The shadows themselves are pretty good. I had zero fallout to deal with and the darker shades are extremely pigmented. They blend pretty well and lasted all day on me without a primer. I also loved the darkest shade as a liner. Then came the lip stains. The word serial makes me think of things that go on for a while and honestly, these stains last forever. Radical is a really pretty red and Faux Pas is a chocolate brown. There are six other shades to choose from but I’m really happy I got these two although I’m eyeing a couple more. When people complain about liquid lipstick not drying fast enough or coming off too quickly, they clearly haven’t tried Serial. These dry in seconds, you’ll want to keep your mouth open for a bit because they gets sticky before they’re completely dry, but once they’re dry, they’re not budging. Like, at all. It takes me forever to get these off my lips. Teeez calls it ‘an indelible film that feels like a second skin on your lips,’ and they’re partly right. If you use a lip balm before you apply, the dryness isn’t bad and it feels like nothing. If you don’t add a balm, your lips will feel like every ounce of moisture has been pulled out of your face. I do love these though, the matte finish is gorgeous and I’ve never had to reapply. I just wish they weren’t so drying and I could get a more precise line with the brush. The other products in the Fashion Vendetta collection are a highlighter, two different kinds of lipsticks and a couple mascaras. 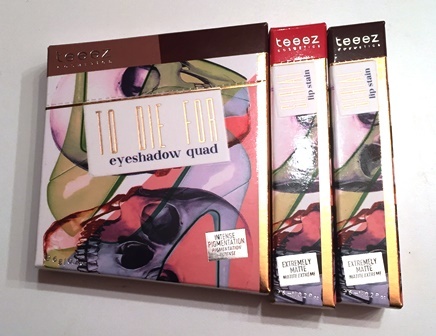 I can’t wait to try more makeup from Teeez and I’m pretty impressed with what I’ve used so far.